Check out an amazing addition to the Bouncing On Air family. These letters are like no other. Standing at 5' Tall, these are sure to be the center of attention next to your beautful dress at your wedding. No other LOVE letters stand this tall. These beautiful letters are great for Valentines Day, Church Events, and Weddings. 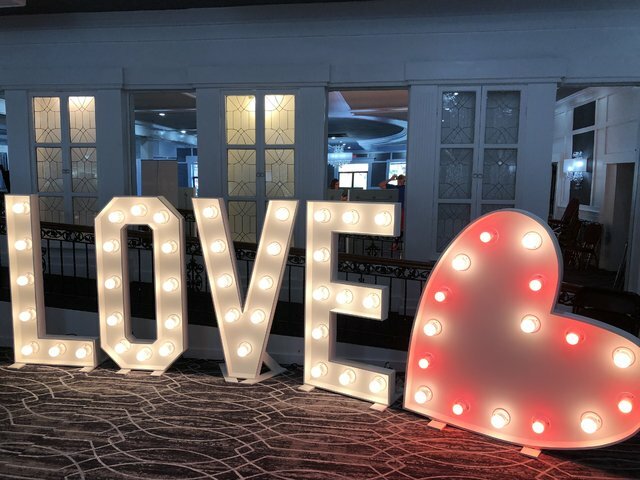 Take some pictures with family infront of these amazing letters to sure create a day to remember.